Film studio 20th Century Fox has just released the new trailer for the upcoming Freddie Mercury biopic, Bohemian Rhapsody. The film, to be released 2 November this year, follows the rise of rock band Queen from music industry outcasts to stadium-conquering megastars. 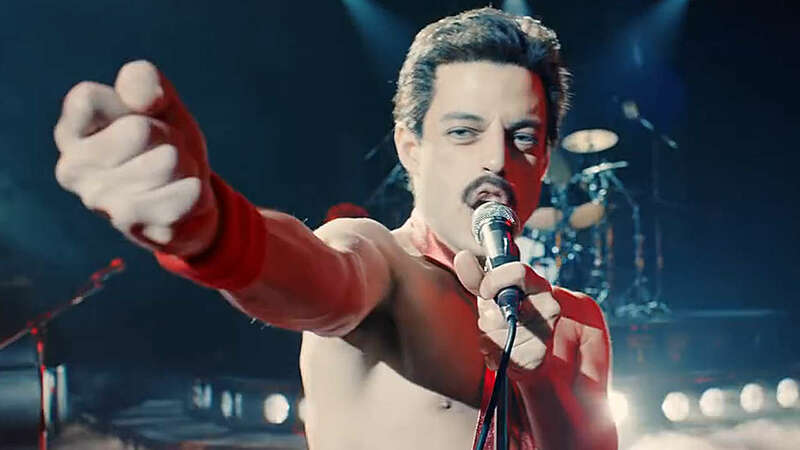 Starring Rami Malek as Queen’s iconic lead singer Mercury, the film charts the band’s initial struggles to obtain airplay. Lead guitarist Brian May, played by Gwilym Lee, is shown in the trailer suggesting that the band get ‘experimental’. From there, Queen set about recording their signature, defining song – Bohemian Rhapsody. The trailer shows the band performing through the ages in all their various guises, culminating with their legendary 1985 Live Aid performance. The film has been the subject of controversy and criticism regarding its depiction of Mercury’s life as a gay man. Mercury died of AIDS-related illnesses in 1991 at the age of 45. He had kept details of his sexuality hidden from the public. Sacha Baron Cohen was initially slated to play Mercury, but left the project due to creative differences. Founding Queen members Brian May and Roger Taylor are serving as the film’s producers. Reports indicate that the pair intended for a family-friendly approach, whilst Cohen favoured a grittier take. Successive lead actor Ben Whishaw also left the project, reportedly due to dissatisfaction with the film’s progress. Critics have expressed fears that the film may gloss over the star’s struggles with his sexuality. The new trailer, however, shows Mercury reaching for another man’s hand. The trailer also depicts his camp wit. In response to drummer Roger Taylor’s tantrum, Mercury utters the riposte: ‘There’s only room in this band for one hysterical queen’.